A Beginner's Guide to Working with Natural Surfactants - Oh, The Things We'll Make! Trying to avoid SLS and other harsh surfactants in your cosmetics? There are many mild, natural surfactants available. Learn about the different types of natural surfactants, with a list of my favorites. There are many types of surfactants and they are used for many different purposes, but they all share one quality: they help increase the wetting properties of a liquid. Surfactants can be found almost everywhere. You can find them in everything from detergents and shampoos to toothpaste and even conditioners. Some surfactants are emulsifiers, others are foaming agents (and some may actually do the opposite of those functions). Some act as detergents, while others act as insecticides or fungicides. 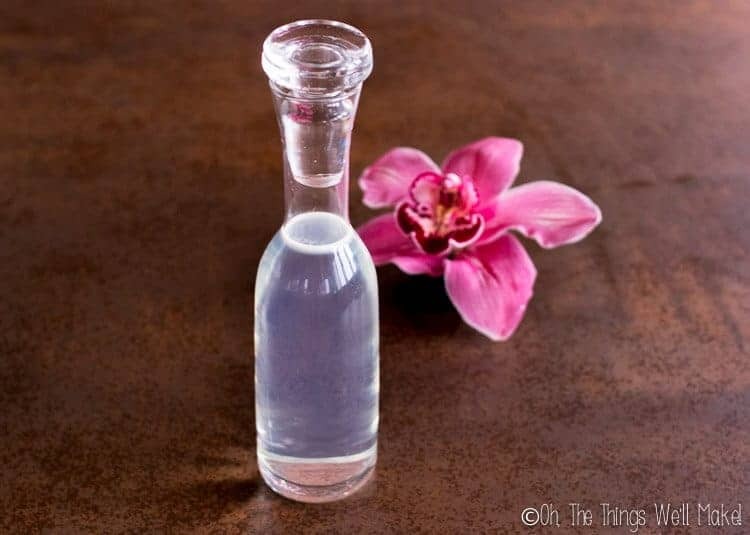 Some help with solubilizing (small amounts of oils into water, for example) and others help increase viscosity. Surfactants affect the surface tension of liquids to increase wetting. Why would you want to increase wetting? Normally, when you spray water on a surface like a window, rather than spread evenly over the surface, the water will bead up. That's because of the surface tension of the water. The molecules of the water come together in a stable configuration and are attracted to each other. When you are trying to clean that window, though, that beading isn't helping you. You want the water to spread evenly over the surface to better clean it. You also want something that can grab onto the grease and dirt on whatever surface you are trying to clean. Surfactants affect the surface tension that is making the water bead up rather than spread out. They have a water-loving head and an fat (oil) loving tail. They come together in structures called micelles. The structure of a type of micelle. I already explained a bit about how the micelles in surfactants work in my micellar water recipe, but for those who haven't read that post, let me give you a quick, simplified explanation. 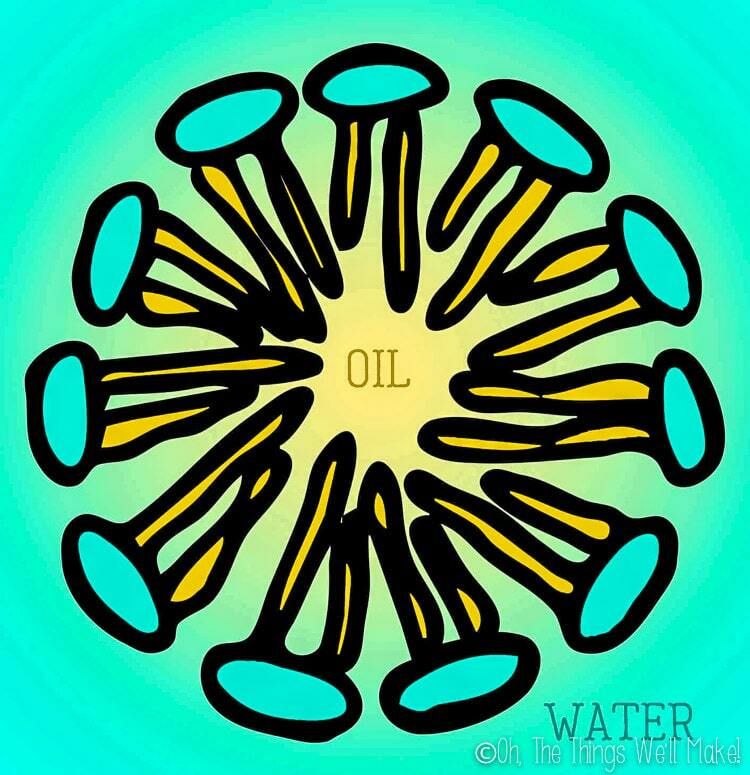 The water-loving heads of the micelles bond with the water while the oil-loving tails on the inside of the micelles bond with the grease and grime. That pulls the grease and grime into the center of the micelles out of contact with the water, making them easier to rinse away. You'll also find that hot water helps clean better because the hot water helps melt the fats which makes it easier for them to be brought into the micelles. These are classified based on the charge of the polar head of the surfactant which can have a positive charge (cationic), a negative charge (anionic), or no charge (non-inonic). Amphoteric surfactants have both a cationic and anionic part attached to the same molecule. Anionic – Anionic surfactants are the most commonly used surfactants because they tend to provide the best cleaning power and the most foam. You've probably heard people talking about one of the most commonly used anionic surfactants, SLS (Sodium lauryl sulfate or Sodium Laureth Sulfate). It can be found in everything from shampoos and shower gels to even toothpaste. I've also shown you how to make soap (many types by now! ), another anionic surfactant. Anionic surfactants can be harsher on the skin, which is why they are often combined with other types of milder surfactants. Nonionic – The second most commonly used surfactants are nonionic surfactants. They don't ionize in water or aqueous solutions. Nonionic surfactants are gentler when cleaning. Because they don't carry a charge, they are the most compatible with other types of surfactants. Recently, sugar-based nonionic surfactants have been developed to offer a safer, non-toxic alternative to some of the more harsh surfactants on the market up until now. Cationic – Cationic surfactants don't generally give foaming like the other types of surfactants. They are often used in hair care products (mainly conditioners and anti-static products because they don't provide the foaming for use in shampoos) because their positive charge is attracted to the negative charge in hair. This makes it difficult to completely wash them from your hair, so some stays behind to help reduce friction between hairs which, in turn, reduces the amount of electrostatic charge in hair. This helps make hair more manageable and helps prevent damage. Cationic surfactants aren't usually compatible with anionic surfactants! Amphoteric – Amphoteric surfactants can carry either a positive or negative charge depending on the pH of your product. Despite that, they are still compatible with all of the other types of surfactants. These tend to be very mild surfactants which is why they are usually combined with other surfactants. While amphoteric surfactants may not give a lot of foam on their own, they can help boost the foam of the other surfactants. Amphoteric surfactants are often combined with anionic surfactants to reduce their harshness and help stabilize their foam. Natural surfactants can be derived from many types of plants. Common sources are coconut or palm, but they can also be derived from other types of fruits and vegetables. There are many natural surfactants on the market today, and with increased consumer demand, I imagine that many more will be available in time. I have tried many of them, but today I'll focus on some of my favorites. I like these surfactants because they are gentle, they tend to be easier to find, and they work well together. You can use these in everything from gentle shampoos to shower gels, facial cleanser, and baby washes. Keep in mind that many of these surfactants are not palm free, so you'll want to source them from places that allow for sustainable methods of obtaining their materials. I buy surfactants that have been certified sustainable by RSPO (Roundtable on Sustainable Palm Oil) standards. Another thing to keep in mind is that these surfactants can differ from manufacturer to manufacturer. The names are polymeric and aren't referring to an exact structure. Some places will use different plants as the origin of elaborating each surfactant, and the way each surfactant cleans, solubilizes, etc. can vary depending on where you buy it from. I'll be describing these surfactants based on my suppliers, but you'll want to check on the specifications of the surfactant you are buying if it's important to you to know what plants have been used to derive them, the pH, the concentration, etc. Use this list as a general guideline! Along those lines, while mine are listed as ECOCERT approved, that may also be dependent upon the manufacturer of each surfactant. I'll be updating this list and adding more surfactants as I use them and learn more about them. For now, though, this should give you a good starting point to understanding what we are going to be working with. 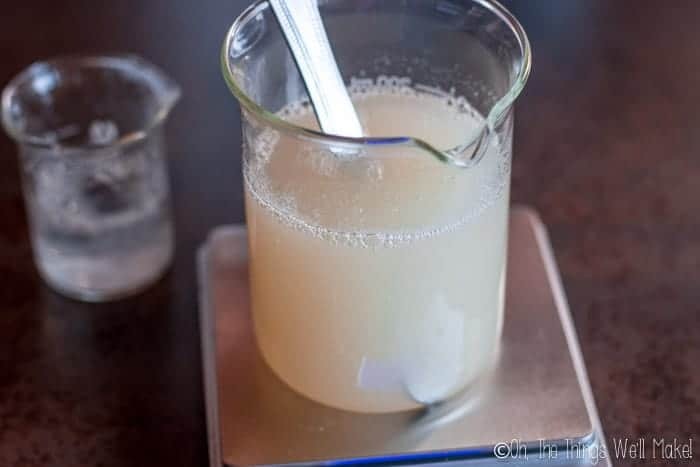 Coco Glucoside is a non-ionic surfactant that is obtained from coconut oil and fruit sugars, but it can also be obtained from either potato or corn. It is a very gentle, foamy cleanser and is completely biodegradable. You can use it in products that you want to have an ECOCERT certification. It has an alkaline pH (around 12) which makes it self-preserving as is, but you will probably have to adjust the final pH of products using it to pull it into a range more suitable for your skin or hair (and you'll need to add a preservative). Decyl Glucoside is very similar to coco glucoside (non-ionic and ECOCERT compatible), but it has a shorter chain length. It creates less foam (its foam is less stable) than coco glucoside but it does add more viscosity to a product. It is derived from coconut oil and glucose and is completely biodegradable. It can be used in all sorts of shampoos, gels, baby products, etc. Lauryl Glucoside is very similar to the other 2 glucosides I've mentioned. It has a longer chain length and more viscosity. It takes longer to foam than the other two, but it also has the most stable foam. While it is also a mild cleanser, it isn't as mild as the other 2 alkyl polyglucosides. Comparing the alkyl polyglucosides. I bought the Lauryl Glucosde from a different supplier, so that may also be a factor in the huge difference in appearance. You'll notice the Lauryl Glucoside I bought was relatively solid, and I had to dilute it quite a bit to be able to use it. Disodium Laureth Sulfosuccinate is a gentle anionic surfactant that can be used in natural products (ECOCERT). It is a great alternative to SLS for a milder, more natural shampoo (or body wash, etc.). It has larger molecules than some of the other surfactants (like SLS) making it unable to penetrate and irritate the skin in the same way. It cleans and provides foam in products made for people with sensitive skin. Coco betaine is a coconut based amphoteric surfactant. It's mild and can help boost foam and increase the viscosity of products made with it. It's very mild and provides for gentle cleansing. It's completely biodegradable and has a pH around 6-8. It is also ECOCERT compatible so it can be used in the elaboration of “natural” and “organic” type products. Sodium coco sulfate is an anionic surfactant that is ECOCERT and BDIH friendly. It has a pH of 10-11 and is derived from coconut oil. It is a water-soluble surfactant that is sold in solid form. It's usually used in non-soap shampoo bars and/or bar cleaners (syndet bars). Plantapon SF is a mix of vegetable-based surfactants (coconut, corn, and palm based) that can be used in a variety of gentle cleansing products like shampoos, shower gels, and facial cleansers. It includes sodium cocoamphoacetate, lauryl glucoside, sodium cocoyl glutamate, sodium lauryl glucose carboxylate, and glycerin. It has a pH between 6.5 and 7.5. 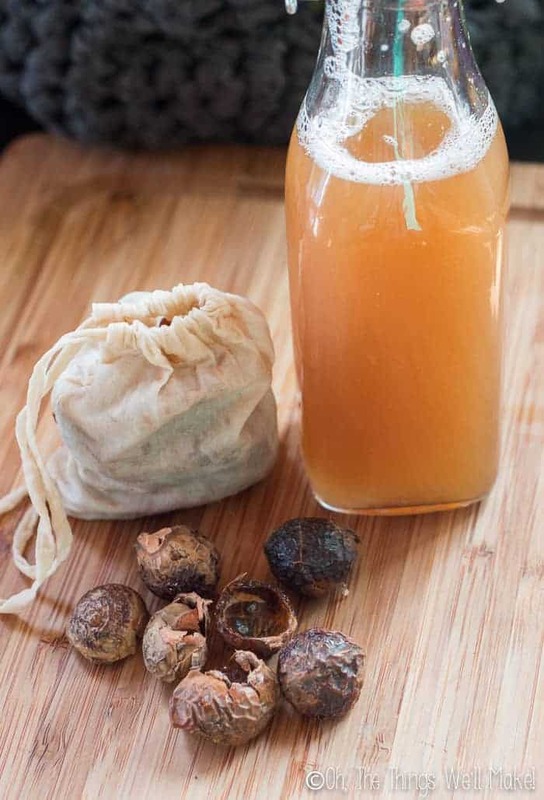 Soap nuts and a soap nut solution. While not as effective as the other more processed surfactants derived from natural sources, those looking for a completely natural alternative may be interested in studying some of these natural surfactants. These plant based cleansers all have natural saponins that are a type of non-ionic surfactant. They can be used alone or combined with the other surfactants for a more effective final product. The fruits taken from the sapindus trees/shrubs from the lychee family have saponins which are natural non-ionic surfactants. They are usually called either soap nuts or soap berries, and they clean without creating much foam. You can either throw a cloth bag of them in with your laundry to naturally wash your clothes, or you can steep them in warm water to extract a liquid that can be used for cleaning. Make just enough for what you'll need and you can freeze the rest. Liquid yucca extract is a natural non-ionic surfactant that comes from the yucca plant, a desert plant that has natural saponins of its own. While you can add it to your homemade shampoos, yucca extract is also used in gardening to help get nutrients to the roots of other plants by washing away concentrated salts that build up. Shikakai powder is another plant with natural saponins which are natural non-ionic surfactants. It is normally used in hair care as a very natural “shampoo.” It naturally has a low pH which makes it ideal for hair care. It's said to be good for all hair types, especially those that are prone to breakage and damage. Like with the other natural surfactants, you can either combine it with other surfactants or use it on its own. To use it on its own, you make a paste by mixing the powder with warm water and running it through your wet hair once it the paste has cooled. You then leave it to act for 10-15 minutes before rinsing it out. It may slightly darken hair. Soapwort is another plant that has been used for many years as a soap alternative. It can be used to clean the skin, wash your hair, or even as a laundry soap. It's especially good for delicate fabrics. 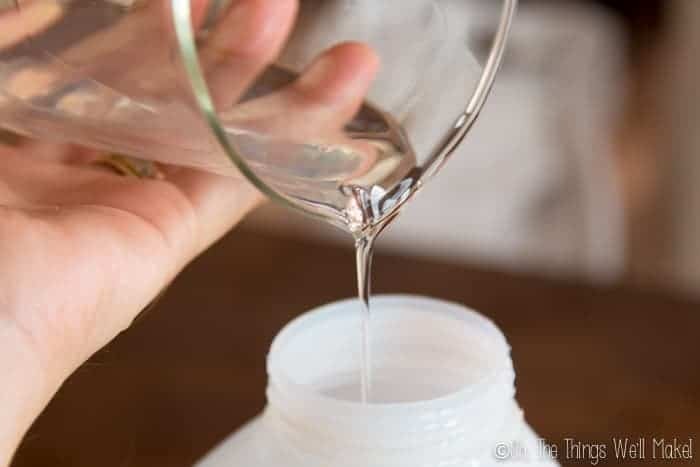 To use soapwort, you need to make an infusion of the soapwort in water, and then you can use the resulting liquid as a liquid soap alternative. Thank you so much for taking the time to share your knowledge with us all Tracy. I can’t belief that anyone would get impatient with you. I just stumbled across your site. You have a very comprehensive knowledge of surfactants. Which is impressive. Wanted to offer my assistance to you if ever you have very technical questions on surfactant chemistry or applications. I have worked my entire career as a surfactant chemist (40+ years) and have multiple patents in this area. Hi Tracy!! Can you share your supplier? I’d like to purchase some surfactants from credible sources!! I live in Spain, so I buy locally here. If you tell me where you live, I can give you some ideas of the better places to buy (from what I’ve heard). Hello Frank!I m preparing a laundry powder detergent with the following ingredients and I would like your opinion. Sodium sulfate,sodium carbonate,sodium chloride,grinded vegetable origin soap, synthetic zeolite,cellulose gum, citric acid and magnesium sulfate.Thank you! I make bath products, I wanted to switch to a more natural foaming agent. I want the maximum foam out of my bubble products but with the most natural agents. Which one or combination should I use? Hi Frank!! I have many other questions in regards to surfactants! Would you mind answering a few of my questions please!? Hello, I am looking for a natural emulsifier/surfactant that I could add to facial oil to make a self emulsifying cleansing oil for the ocm. What would you recomend? I just want it to help with the washing away of of the of the oil and not remove any natural sebum or mess with the acid mantle of the skin. Thank you! If you’re looking to have an oil cleansing feel, an emulsifier is probably the way to go. If you do want to go with surfactants, though, you could maybe start out with really gentle ones like the ones I used in my micellar water recipe. You can use it with water as I normally do (but it’s gentle enough to leave on the skin too). I’m sorry, but I’m not at all familiar with which surfactants are used for dyeing fabric. I mostly use for hair products. I’m looking to make bath whip. It calls for sci, coca bet, glycerin, stearin acid, and germall. Can any one of these substitute for any of that? Both Coco Betaine and Sodium Cocoyl Isethionate are mild surfactants that are on the more natural side. There is no need to substitute those out as they are great surfactants to work with. The Germall is the preservative, the stearic acid is probably there to thicken it, and the glycerin is a humectant. Any advice on which of the surfactants (or combo) are best suited for facial cleansers? I like the glucosides because they are very gentle! After sifting through dozens of articles, at last I found a well written blog and list of 4 100% natural “surfactants”. I am on a journey with first shampoo making then all the rest. I have read other articles saying that these surfactants are either made from oils or synthetically. So is that not also worth mentioning? It is also my belief that if you cannot pronounce a word then it is probably synthetic and should not be eaten or used. Well, if you’re searching for a natural surfactant, these are about as natural as you are going to find. They are biodegradable and on the more gentle side. They do need some processing to make surfactants, but these are the surfactants that are covered in all sorts of natural surfactants and natural cosmetic formulations classes. Nothing is going to be perfect. I’m not sure I agree with the comment about the pronunciation of a product, though. We may call sodium chloride salt, or sodium bicarbonate baking soda, but they still have chemical names. Not that you can’t pronounce those example names, but it’s something to consider. I’m sure you’ll find some tropical fruits with names that are more difficult to pronounce than some other things that you should probably avoid. I don’t know. I can pronounce the above surfactants, not that that really matters. Really informative article, thank you Tracy. I’m trying to make my own laundry liquid using coco glucoside and decyl glucoside (plus essential oils, purified water, acacia senegal gum and xantham gum). I’m having issues with ratios- is there a ‘go-to’ rule or guide for ratios/quantities of water to surfactants that you fall back on when formulating products at home? Thank you! Let me explain. I took a surfactants course, but it covered only skin care applications. They gave certain ratios and combinations that could be used. So, I keep those in mind when I’m formulating. If you’re only using coco glucoside and decyl glucoside, you’ll probably need to add pretty high concentrations. Even in skin care, those are used pretty generously because they are mild and aren’t as effective at cleaning as the anionic surfactants like SLS. Yours blog is great!!! 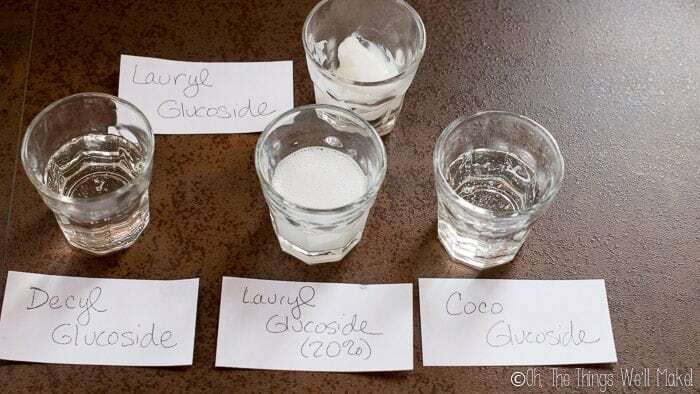 I’m trying to make some household recipes using coco glycoside or coco glucose (mix of 4 all natural) with purified water, citric acid and little sodium carbonate and xanatam gum. My question is how I can control bubbles what can I add to have stable liquid form.?? Keep doing this! Are you only using coco glucoside? It’s a very mild surfactant that doesn’t really make a lot of bubbles on its own. To get more bubbles it’s a good idea to combine several different surfactants. I’m not quite sure what you mean about stable liquid form? I have just discovered your website 2 days ago and cannot stop reading it, planning my future steps in the world of ‘making your own’. Like most of your followers I suppose I am motivated by reducing the toxic products we use and pumped out in our rivers, not even mentioning the plastic containers holding them. Your explanation are extremely clear and well balanced (scientific enough but not too obscure). Let us know if you ever want to organise a course. I am in! Thanks a lot for sharing your experience and knowledge. I’m so sorry I missed it before, but I was having issues with my comments system a couple of weeks ago! I’ll definitely keep it in mind! It is something I’ve been considering! Hi! Just stumbled across your blog and will be subscribing! Thanks for this post, it’s very clear, concise, and easy to understand. I have recently started to explore natural surfacants, and have read a few blog posts detailing the specifics. I left the other blog posts in a haze of confusion, feeling very intimidated. But thanks to this post I now can say with confidence that I understand the differences between the charges of the different surfacants, as my confusion was with the differences between the ions, and what exactly it all meant 😉 Thank you! Please do share more about natural surfactants as you explore them! I’m so happy I was able to help, and, yes, I’ll be working on sharing lots of posts using surfactants soon! Thanks so much for the info on these natural surfactants. I read in one of your comments on another post that you now use a surfactant based laundry detergent. I was trying to figure out which surfactants to use for a laundry detergent. Which ones do you use? This for me comes just at the right time as I was looking for a substitute for sls. Thanks a mil especially for putting it so simple that anyone can understand. I have a couple of questions however which I’m hoping you might be able to answer. *I was looking at wanting to substitute poly 80 with something more natural (generally it is suggested to disperse the mica in the bubble bars) but there ought to be a valid substitute for it.. Will the surfactant work? *if I wanted to sub the sls with the sodium Coco sulfate will the quantity be the same? Thank you for all the help you might be able to give me it is greatly appreciated! Thanks so much! I’m happy it was helpful to you! Could you link to a sample recipe that uses polysorbate 80? I never work with polysorbates. They are often used to help emulsify oils to help give a less oily feeling in some products- or to make an emulsifying cleanser. 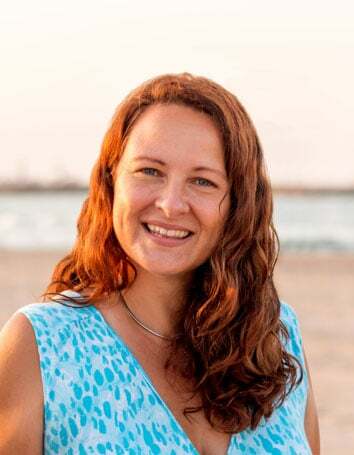 I have used a product called sucragel- that allows for that sort of thing- and sometimes people will use Olivem- but, of course, it really depends on the product- and what you are needing the Polysorbate to do. I guess I can’t really answer the other question either- as I’m not sure I’m fully understanding what type of product it is. I don’t have any experience making bubble bars. Thanks for this information! I make conditioner using your recipe,and I really needed more information on gentle surfactants. Everyone talks about non-ionic or cationic, etc, but yours is the first comprehensive explanation of them I’ve seen! ? That really means a lot to me to hear that because I know just how confusing it all can be with the little, scattered information that is out there. I’m glad I was able to make things a bit clearer! Of these surfactants, which can be used to make solid bars (soap or non-soap)? If you want to make a real bar of soap, you’d have to go the old-fashioned route with oils and lye. I actually love making soap, and there are a lot of soap making recipes up already on the blog. If you’re new to making soap, though, I’d suggest you start by making or at least reading my easy beginner soap recipe post. Great article. Lots of new terms to learn. Your blog is my new favorite go to for trying new dyi skin and hair care. You demonstrate professional knowledge, but you have the unique ability to eloquently explain to those who are beginners. It’s a great gift. Keep sharing?